Fall is in the air here. It's been coming for a while, but last weekend there was a burst of gorgeous weather, just in time for David's birthday, my friend Sondra's baby shower and 18 miles of marathon training. (One of these things is not like the others). I whine about marathon training, so let me say a few good things about it: I burn lots of calories so I can continue to make and eat good food, and my friend Paul and I get to catch up on Project Runway and celebrity gossip. Hey, you can't be an intellectual all the time. When David and I started dating, I was a vegetarian, or at least the Alaska version of one--I ate fish but no meat (we call them Alaska-tarians or pescatarians). I gave up vegetarianism in late 2005 after eyeing David's steak enviously one too many times, but I still adore vegetables, especially green ones roasted with a little olive oil and sea salt. Is it weird to think asparagus is pretty? Because I do. 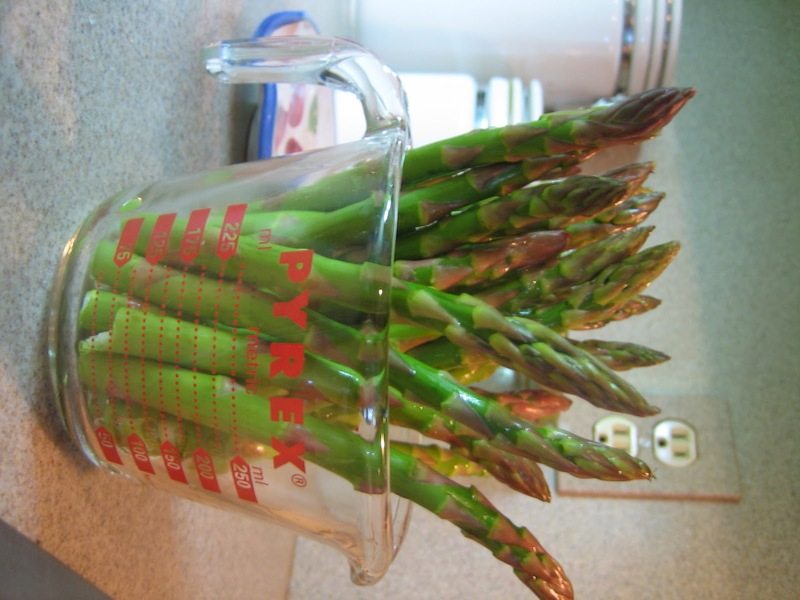 I started making this recipe months ago, when asparagus wasn't readily available, and learned that all manner of green vegetables can be used to great effect, with a little tweaking of cooking time. Green beans take beautifully to roasting, but need less time. Brussels sprouts need a little longer, but the next time you get a sprouts-hater coming to dinner, try this recipe with its creamy sauce, crunchy vegetables and salty cheese. Conversion could occur. 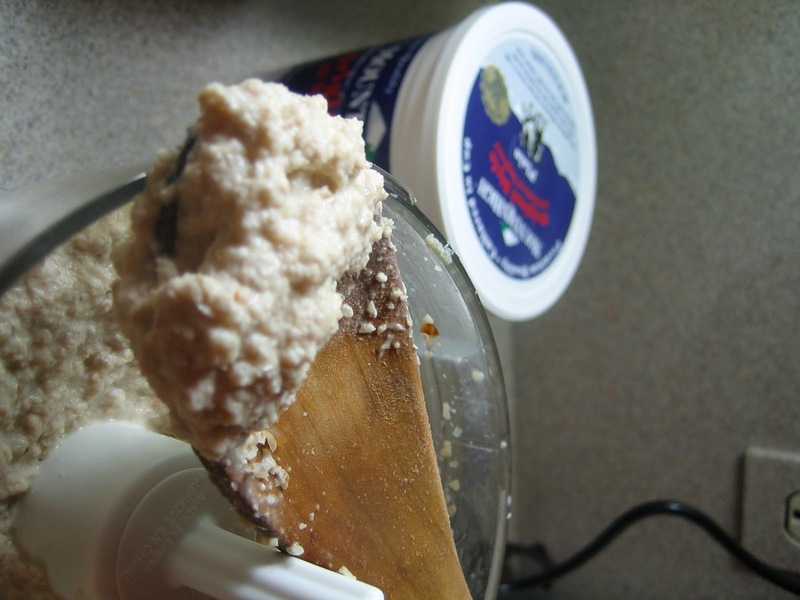 This recipe makes tons of crema. You can easily triple the asparagus and you'll have enough sauce. Don't cut the recipe, though, because the crema is brilliant on pasta and toasted bread and with raw veggies. It also keeps for at least two weeks in a Tupperware container. For the crema, bring a large pot of salted water to a boil. Add the walnuts and blanch them for 8-10 minutes. At the 8-minute mark, fish one out and see if it is slightly tender. If so, you're done. 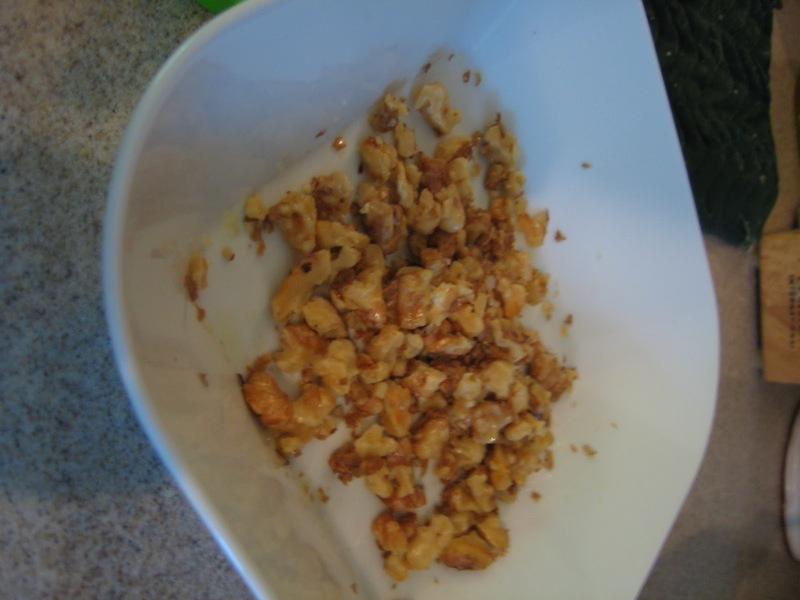 Drain the walnuts in a colander, reserving at least a cup of the blanching water. While the walnuts are boiling, warm 1 tbsp. of the olive oil in a medium sauté pan over medium heat. Add the onion and a pinch of sea salt and sauté until the onion turns golden and fragrant. Remove the pan from the heat. 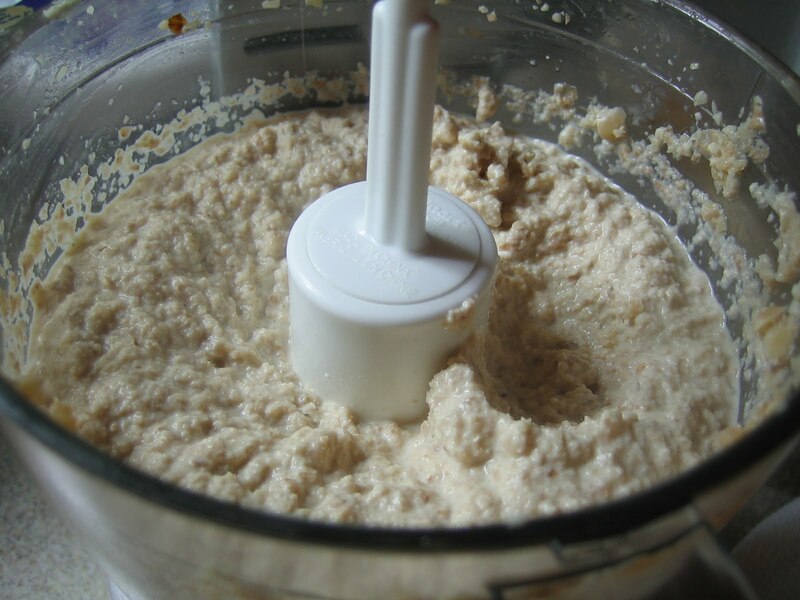 Think of it as Italian hummus. I could have processed it longer, but I liked the texture. 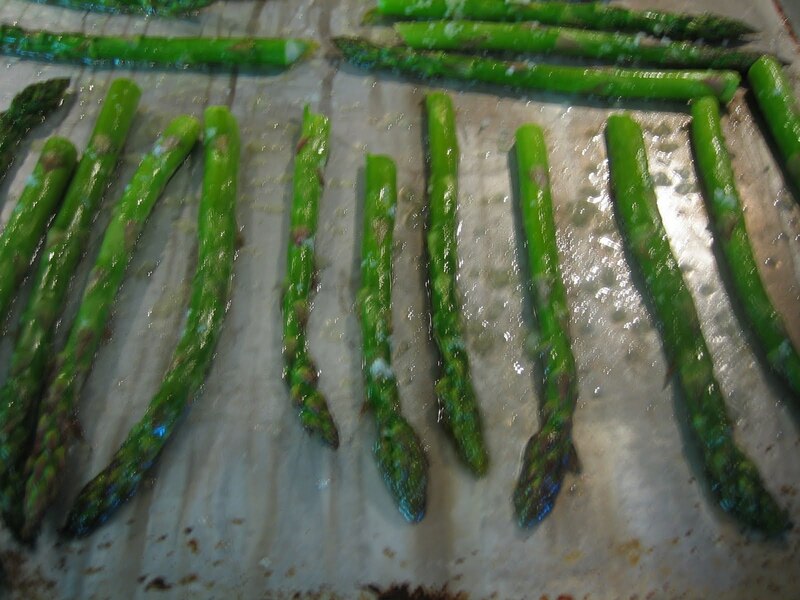 ﻿To make the asparagus, snap the woody ends off and place the stalks on a baking sheet. Drizzle the asparagus with olive oil until lightly coated, and sprinkle with sea salt. Roast the stalks in the oven for 8-10 minutes, removing when the stalks get lightly charred and are fork-tender. Keep an eye on them, because you don't want the stalks to get overcooked. Finally, combine the toasted walnuts, a drizzle of olive oil and a pinch of sea salt in a small bowl and toss to coat the walnuts. To assemble the platter--and you do want this on a platter because it looks spectacular--spread the crema first, then top with the asparagus. 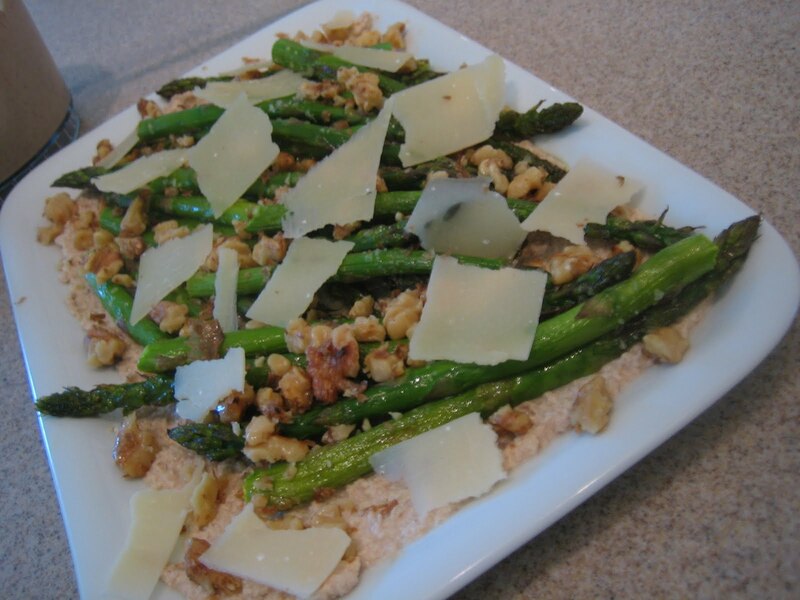 Arrange the asparagus on the platter, and sprinkle the walnuts over--you will have extra if you are using only one bunch of asparagus, but they keep, too. Shave a little parmesan or pecorino over the platter. It's suddenly gotten very chilly here...a nip of fall is in the air! I love asparagus....and enjoy trying new, delicious recipes like yours! It's still warm here. Great recipe. Well, I definitely would love that cream! I'm sorry you can't find trofie... never thought about making them yourself? !